Sky Blue FC forward Sam Kerr scored a goal, tallied an assist and earned a penalty kick to lead Sky Blue to a 3-1 road win over the Houston Dash at BBVA Compass Stadium. Midfielder Sarah Killion opened the scoring in the 33rd minute with her third penalty kick of the season. The goal was her fourth of the year, tied for the league lead. Kerr earned the penalty kick after taking a kick to the face in the box. In the 53rd minute, Kerr assisted on midfielder Leah Galton‘s goal to make it 2-0. 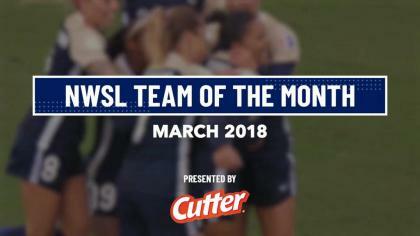 Dash defender Poliana‘s goal in the 76th minute pulled Houston to within one, but Kerr put an exclamation point on her performance in the 87th minute, scoring her first goal of the 2017 season. Through five weeks, Sky Blue FC is 2-2-1, while Houston sits at 2-3-0. Match ends, Houston Dash 1, Sky Blue 3. Second Half ends, Houston Dash 1, Sky Blue 3. Attempt blocked. Sarah Hagen (Houston Dash) right footed shot from outside the box is blocked. Assisted by Amber Brooks. Attempt missed. Madison Tiernan (Sky Blue) left footed shot from the left side of the box is high and wide to the left. Assisted by Samantha Kerr. Kayla Mills (Sky Blue) wins a free kick in the defensive half. Poliana (Houston Dash) wins a free kick on the right wing. Janine Beckie (Houston Dash) wins a free kick in the attacking half. Bruna Benites went off injured after Houston Dash had used all subs. Goal! Houston Dash 1, Sky Blue 3. Samantha Kerr (Sky Blue) right footed shot from the right side of the box to the bottom left corner. Assisted by McKenzie Meehan. Amber Brooks (Houston Dash) is shown the yellow card. McKenzie Meehan (Sky Blue) wins a free kick in the defensive half. Foul by McKenzie Meehan (Sky Blue). Delay in match Bruna Benites (Houston Dash) because of an injury. Attempt missed. Sarah Hagen (Houston Dash) left footed shot from the left side of the box is high and wide to the left. Assisted by Poliana. Attempt missed. Raquel Rodríguez (Sky Blue) left footed shot from outside the box is close, but misses to the left. Assisted by Samantha Kerr. Attempt blocked. Sarah Hagen (Houston Dash) header from the centre of the box is blocked. Assisted by Janine Beckie with a cross. Substitution, Sky Blue. Kayla Mills replaces Erin Simon. Corner, Houston Dash. Conceded by Mandy Freeman. Attempt blocked. Kealia Ohai (Houston Dash) right footed shot from the right side of the box is blocked. Assisted by Amber Brooks. Goal! Houston Dash 1, Sky Blue 2. Poliana (Houston Dash) right footed shot from the centre of the box to the bottom right corner. Assisted by Kealia Ohai with a cross. Substitution, Houston Dash. Sarah Hagen replaces Janine van Wyk. Offside, Sky Blue. Raquel Rodríguez tries a through ball, but Samantha Kerr is caught offside. Substitution, Sky Blue. Madison Tiernan replaces Taylor Lytle. Attempt missed. Poliana (Houston Dash) right footed shot from the centre of the box is close, but misses to the right. Assisted by Andressinha with a cross following a corner. Janine van Wyk (Houston Dash) wins a free kick in the defensive half. Attempt blocked. Bruna Benites (Houston Dash) header from very close range is blocked. Assisted by Janine Beckie with a cross. Corner, Houston Dash. Conceded by Kailen Sheridan. Attempt saved. Andressinha (Houston Dash) right footed shot from outside the box is saved in the bottom left corner. Assisted by Amber Brooks. Taylor Lytle (Sky Blue) wins a free kick in the defensive half. Raquel Rodríguez (Sky Blue) is shown the yellow card for a bad foul. Corner, Houston Dash. Conceded by Erin Simon. Substitution, Sky Blue. McKenzie Meehan replaces Leah Galton. Attempt saved. Kealia Ohai (Houston Dash) right footed shot from the right side of the box is saved in the bottom left corner. Assisted by Rachel Daly. Substitution, Houston Dash. Poliana replaces Morgan Brian. Andressinha (Houston Dash) wins a free kick in the attacking half. Janine Beckie (Houston Dash) wins a free kick in the defensive half. Christie Pearce (Sky Blue) wins a free kick in the defensive half. Goal! Houston Dash 0, Sky Blue 2. Leah Galton (Sky Blue) left footed shot from the left side of the box to the top left corner. Assisted by Samantha Kerr with a through ball. Raquel Rodríguez (Sky Blue) wins a free kick on the right wing. Foul by Andressinha (Houston Dash). Attempt missed. Rachel Daly (Houston Dash) right footed shot from long range on the right is high and wide to the right. Foul by Nikki Stanton (Sky Blue). Andressinha (Houston Dash) wins a free kick on the left wing. Janine Beckie (Houston Dash) hits the bar with a right footed shot from the centre of the box. Hand ball by Nikki Stanton (Sky Blue). Second Half begins Houston Dash 0, Sky Blue 1. Substitution, Houston Dash. Andressinha replaces Nichelle Prince. First Half ends, Houston Dash 0, Sky Blue 1. Foul by Erin Simon (Sky Blue). Nikki Stanton (Sky Blue) wins a free kick in the attacking half. Attempt missed. Taylor Lytle (Sky Blue) left footed shot from the centre of the box misses to the left following a corner. Corner, Sky Blue. Conceded by Bruna Benites. Goal! Houston Dash 0, Sky Blue 1. Sarah Killion (Sky Blue) converts the penalty with a right footed shot to the bottom right corner. Penalty Sky Blue. Samantha Kerr draws a foul in the penalty area. Penalty conceded by Nichelle Prince (Houston Dash) after a foul in the penalty area. Samantha Kerr (Sky Blue) wins a free kick on the right wing. Foul by Janine van Wyk (Houston Dash). Attempt missed. 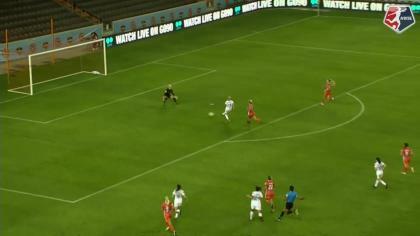 Kealia Ohai (Houston Dash) right footed shot from outside the box is too high. Assisted by Amber Brooks following a set piece situation. Camille Levin (Houston Dash) wins a free kick on the left wing. Delay in match Samantha Kerr (Sky Blue) because of an injury. Attempt blocked. Rachel Daly (Houston Dash) right footed shot from the left side of the box is blocked. Assisted by Kealia Ohai. Attempt blocked. Samantha Kerr (Sky Blue) right footed shot from the centre of the box is blocked. Assisted by Raquel Rodríguez. Delay in match Janine van Wyk (Houston Dash) because of an injury. Samantha Kerr (Sky Blue) is shown the yellow card for a bad foul. Sarah Killion (Sky Blue) hits the bar with a right footed shot from very close range. Assisted by Taylor Lytle with a cross. Attempt missed. Janine Beckie (Houston Dash) right footed shot from outside the box is too high. Assisted by Nichelle Prince. Attempt missed. Amber Brooks (Houston Dash) header from the centre of the box is close, but misses to the left. Assisted by Kealia Ohai with a cross. Offside, Houston Dash. Cari Roccaro tries a through ball, but Rachel Daly is caught offside. Offside, Houston Dash. Morgan Brian tries a through ball, but Kealia Ohai is caught offside. Bruna Benites (Houston Dash) wins a free kick in the defensive half. Foul by Taylor Lytle (Sky Blue). Nichelle Prince (Houston Dash) wins a free kick in the defensive half.